The lure of Olympic gold has tempted All Blacks midfielder Sonny Bill Williams away from Super Rugby and into Sir Gordon Tietjens' initial sevens squad for next year's HSBC World Series and Rio di Janeiro Olympic Games. Williams is joined by All Blacks and Chiefs teammate Liam Messam in Tietjens' 16-strong squad, with Tietjens saying both players are unlikely to be available for next year's Super Rugby season. "To be good at this game, you've got to be training it and playing it," Tietjens said. "Some of these players haven't played Sevens for a long, long time but they've certainly got the skill sets to do so." He said Williams had shown how easily he could adapt to the demands of rugby after making the switch from rugby league in 2008. Tietjens said although Williams had never played sevens, he'd have ample opportunity to prove himself. "Sonny will be involved in six World Series tournaments to demonstrate that he could be worthy of going to Rio." Williams said his decision to try for the All Black Sevens hadn't been difficult. "Going back in time, the best sportsmen ever have been Olympians - (Usain) Bolt, (Muhammad) Ali," he said. "It's just an awesome opportunity to try and achieve that." Messam, who won two Commonwealth Games gold medals at Melbourne in 2006 and New Delhi in 2010, is joined by a trio of other returning sevens players in Akira Ioane, Ben Lam and Ardie Savea. Scott Curry will take over from long-serving skipper DJ Forbes, who announced he was stepping down from the captaincy earlier this month. Although the initial squad will form the basis of teams to be selected for the world series and the Rio Olympics, Tietjens said there was the option to add further contracted players later this year. 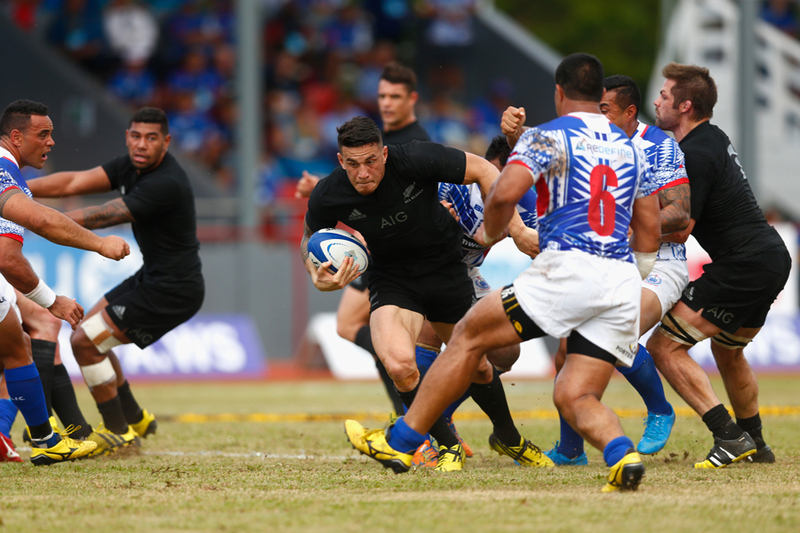 All Blacks Sevens: Dylan Collier, Scott Curry, Sam Dickson, DJ Forbes, Gillies Kaka, Akira Ioane, Rieko Ioane, Ben Lam, Liam Messam, Tim Mikkelson, Ardie Savea, Sherwin Stowers, Sam Vaka, Beaudein Waaka, Joe Webber, Sonny Bill Williams.